JAY, Maine - Firefighters say 13 people are homeless because of a fire that destroyed an apartment building in Jay. PORTLAND, Maine - A former Roman Catholic priest who sexually abused a 9-year-old boy at a Maine church in the 1990s is going back to prison. 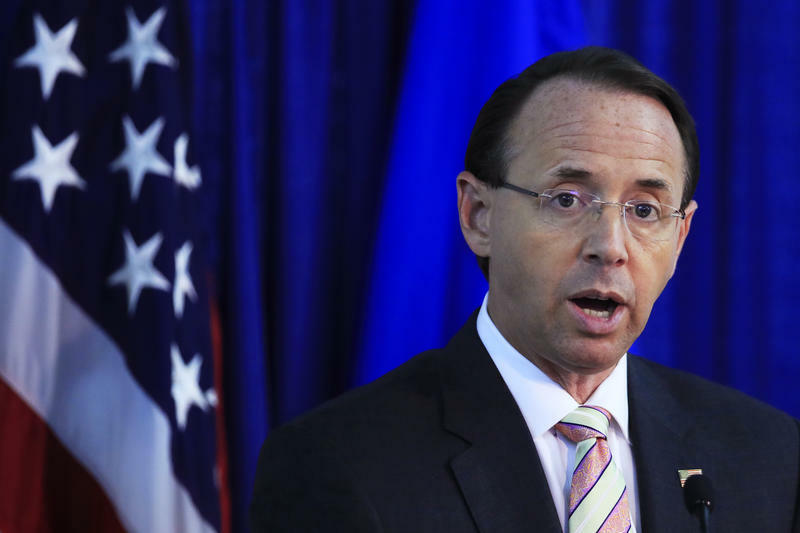 NEW YORK - Deputy Attorney General Rod Rosenstein is expecting to be fired Monday at the White House, after critical comments about Trump. AUGUSTA, Maine - Suicide is on the rise in Maine and the state is offering free online training for doctors and counselors. PRESQUE ISLE, Maine - Maine's expanded moose hunt is getting started in the far northern and Down East parts of the state. AUGUSTA, Maine - Maine's top court is asking the public about whether it should weigh in the legality of tribal gaming without state approval. WESTBROOK, Maine - Officials say two Maine police officers were briefly hospitalized after being exposed to the dangerous synthetic opioid fentanyl while performing a traffic stop. SACO, Maine - A Maine seafood company has obtained the final permit to develop the largest lobster processing operation in the state. UNITY, Maine - Maine's rural living fair is getting started for lovers of organic agriculture, whether they're looking to learn how to raise goats or get the most out of their compost. PORTLAND, Maine - A lobster boat captain charged in the death of two crew members is pleading guilty and facing four years in jail. ROCKLAND, Maine - Members of Maine's lobster industry are looking to shift their focus to growing domestic markets as new tariffs make it more difficult to sell to foreign buyers such as China. ORONO, Maine - The University of Maine is warning students about a man who has been spotted following women around campus. RANGELEY, Maine - An airport in rural Maine is getting more than $11 million in federal funding to extend its runway and make other improvements. BIDDEFORD, Maine - A University of New England pharmacy professor has received a patent for an innovation in the early detection of breast cancer.